Click on the ^Curriculum Tab ^ to get to the lesson! 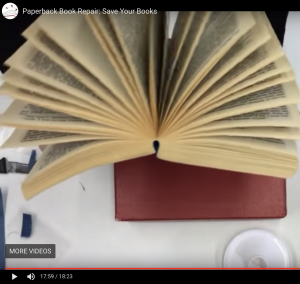 How to repair a paperback book with simple tools and step by step instructions. There are actually two different repair issues talked about in this video. The first is when the cover has just come apart from the text-block and can we just reactivate the glue and replace the text. The second is harder. This paperback has a cover that is separated into three pieces. The old yellow glue on the spine of the paperback had become brittle and cracked so it had to be replaced. 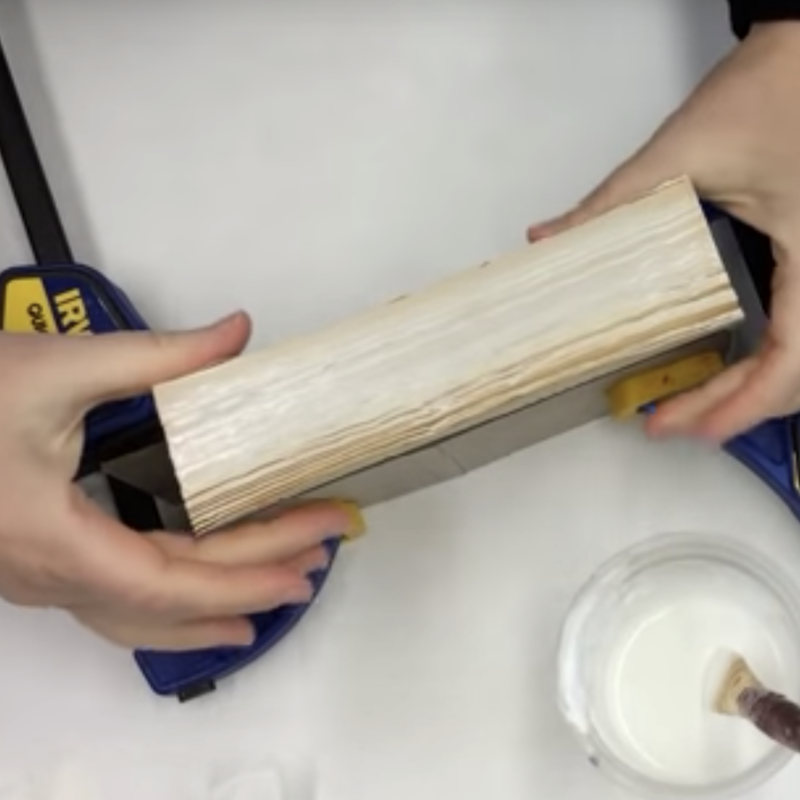 This requires replacing the glue with the double fan adhesive method. PERPETUAL CAVEAT: Never repair valuable or scarce books. When in doubt only do preservation treatments and consult an accredited professional. 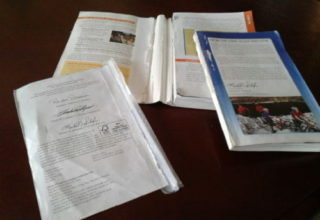 When you finish this course you might like to take another course on Paperback repair that is great for manuals. 5-104 Repair a Paperback: Boy Scout Handbook. $14.99 with 30 minutes of video and explanations for making a paperback even stronger.